In today’s customer-centric world, consumers have a multitude of choice and the power to impact a company’s brand whether it is through five-star rating systems or social media sharing. As a consequence, competition amongst businesses is stiffer than ever. Businesses, especially SMEs, need to be innovative in managing customer retention and simplifying their consumers’ journey from problem to solution, through a better understanding of customer needs. Adobe recently released the 2017 APAC Creative Pulse which highlights the opportunities for businesses that embrace the key differentiators of the Experience Business era - design thinking and creativity - to deliver exceptional online and offline customer experiences. This is a key component of business transformation and strategy. 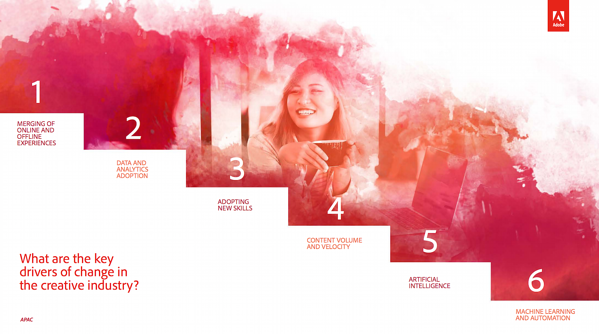 "The latest research by Adobe found that merging online and offline experiences is the biggest driver of change for the creative community, followed by the adoption of data and analytics, and the need for new skills. The research also found that customer experience is the number one investment by businesses across APAC." The most effective and systematic way of incorporating design thinking and customer experience at the forefront of your business strategy, is to put yourself in your customer's shoes. By using buyer personas and a clearly defined marketing and sales funnel, businesses can understand their customers on an intimate level - how they feel, how they think, their problems, motivations, goals and behavioural patterns. We recently wrote an inbound marketing guide that has helped businesses better align their buyer personas and marketing and sales funnel to their business goals. As the old saying goes, ‘people don’t remember what you say, they remember how you make them feel’. 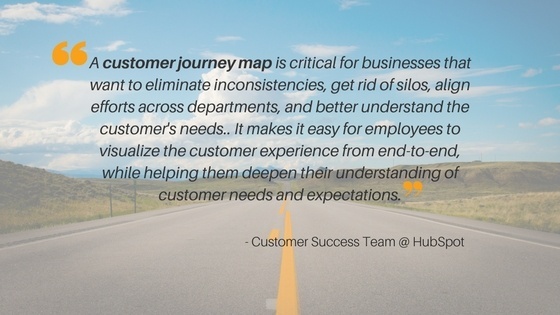 When you know your customers well, you will be able to put your own unique spin on solving complex problems, providing desirable solutions they actually want and creating exceptional experiences at every touch point of the customer journey. In Gary Vaynerchuk’s book ‘Thank You Economy’, he emphasises the importance of customer service being the pedestal of any business. While he focused mainly on social media, the principle of treating customers as king is applicable in both, the online and offline worlds. In short, show customers you care about them and go beyond what is expected of your business so customers come back saying ‘Thank You!’. As inbound marketers at Connect Labs, we start every marketing and sales strategy by understanding our client’s buyer personas and defining the key stages of the customer journey because it sets the tone for what’s to come. Sometimes ‘disruption’ opportunities are as simple as creating positive customer experience, delighting your customers and making them evangelists of your brand. While these are available for any business to leverage on, it is not an easy task to execute. Book a free 30-Minute Discovery Consultation with our Digital Growth Strategist today and discover how your business can develop buyer personas to create impactful and memorable customer experiences.